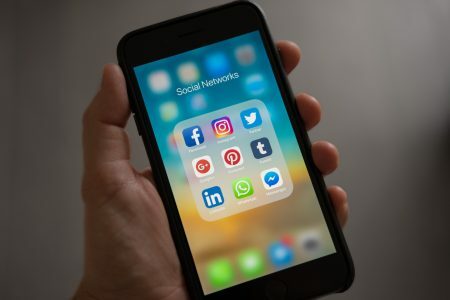 With the number of social media sites in use today, it can be a bit daunting for a business to figure out just what platforms to use to promote their business. The best platforms for your business may depend on the type of business you have though there are three that can be useful for any business. If you do not want to spend tons of time figuring out each site, make sure you know your way around these three and then make a social media strategy that works for you. Pinterest When Pinterest started out, it seemed that people were only using it to find ways to make cute costumes for their kids or décor options for their living room. Today, Pinterest is a powerhouse when it comes to getting traffic to your web page. Whether you want to really manage a Pinterest account or whether you simply want your business to show up in pins, make sure you are taking advantage of this site, which now has over 100 million active users. First, a quick explanation. Users can go through images that are pinned to Pinterest. Boards, or themed collections of images, can also be posted. Anything from fashionable haircuts, to workout routines, to how-to guides on just about anything are posted on this site. How you get traffic to your site is by having things from your site pinned to Pinterest so when users click on them they end up at your URL. This can happen from you making a business account and pinning things yourself or other users pinning images from your site on their own accounts. A perk of using Pinterest is that many users go on Pinterest to get ideas for projects, which means they are looking for inspiration on things they will be spending money on. This means that when they end up on your page, they are more likely to be in buyer mode. Tips for Pinterest: - Pinterest is all about images. If you want to leverage this site, you better have appealing images of your product, infographics relevant to your products or services or something else like a how-to guide that is relevant to your business. - It is also worthwhile to note that 85 percent of Pinterest users are female so if you are specifically targeting one gender, take this into consideration. - When you make a board on Pinterest, err on the side of specificity. Instead of “recipes”, put “no-cook vegetarian recipes” so it is easily searchable and gets re-pinned often. - Take advantage of Pinterest analytics to see what is working and what is not. Note: you can link your Pinterest account to your Facebook and Twitter accounts so you can conveniently post Pinterest posts on multiple platforms. Facebook Facebook is great for businesses as it creates a space to both advertise your business as well as create an online storefront so people can actually buy your product right on Facebook. It also has over one billion users. As Facebook is widely known, a description probably is not necessary. However, some tips on how to use the platform may be helpful. - Post interesting material for your potential customers to get them to engage with your brand as opposed to only posting product images and advertisements. This is the social media version of building rapport before pitching a product or keeping a customer around after a sale. - Use a lot of images paired with clear, concise text where text is necessary. Users scan their newsfeeds as opposed to reading in detail what each post says so grab their attention effectively with a visual and they may choose to click on the post for more info. - Time posts correctly. Find out when your target audience is most likely to be online. If your customers are mostly in Beijing and post something at 2pm in New York, then you are posting something at 2am for your customers. Posts pop back up in newsfeeds as they get ‘likes’ and comments so make sure you post when you are likely to get maximum exposure to keep your post visible. - Have a blog on your web page that Facebook posts link back to when the post is not relevant to something already available on your business’s web page. - Engage with Facebook users. Make sure you respond to messages and comments. Pose questions in your posts that encourage users to communicate with you. Again, this is the process of building rapport. - Take advantage of the option to sponsor posts for maximum exposure to your target audience. YouTube Think of YouTube as an opportunity to either talk to your potential customer or put a video advertisement in front of them. Videos are more engaging and personal than text when done correctly. Also, we all have different communication preferences so for those that prefer visual and auditory material, make videos. For the same reason that you would choose to be a keynote speaker at a conference that is relevant to your business, you can make videos for YouTube to educate your potential customer. Social media should not be all about throwing advertisements and products in your customers’ faces. It is also about building a relationship. If you are a coffee chain, talk to your customers about the process of roasting the perfect coffee bean or about the importance of fair trade. Maybe post a video of how your baristas make awesome designs atop lattes and cappuccinos that trump all other baristas’ artistic endeavors. Additionally, really effective TV ads with catchy one-liners or scenes captivate or entertain and make us remember brands. Finish these: “Like a good neighbor…” and “I don’t wanna grow up, I’m a ….”. These same videos can show up on YouTube and consumers are 64 percent more likely to buy a product for which they have seen a video. In today’s society, a lot of people are engaging with more video ads and shows online than on their TV and online users love videos. You can also put ads on YouTube that show up before other videos. Tips for YouTube: - Make short videos. Users are more likely to click on them and watch them from beginning to end. - Videos do not always need to be fancy but make sure sound and lighting are decent. - Post the videos on Facebook, your web page and any other online platform that you use to advertise your business. Mastering the ever-changing world of social media can be difficult. You really do not need to be a guru but do make sure you are using the most important tools effectively. Additionally, if you set up an account for your business on a social media platform, make sure you keep up with it by posting and communicating with followers frequently. This means keeping your social media strategy manageable. This way, customers that search for your business online consistently find current, engaging content.